Growing up in Oregon I don't remember ever seeing these. There are different mushrooms growing all over my backyard right now, but these look way different than all the others and there was only a small cluster of them in the corner, which caught my eye. Searching online and trying to match pictures it keeps coming back to Psilocybe Semilanceata aka Liberty Caps, which apparently are hallucinogenic. Like I said I've never seen these before growing up in Oregon, so I'm curious as to what they really are. I tried to upload a better picture, but it was too big of a file, so hopefully this one is good enough. Thanks in advance. Browse other questions tagged species-identification mycology or ask your own question. 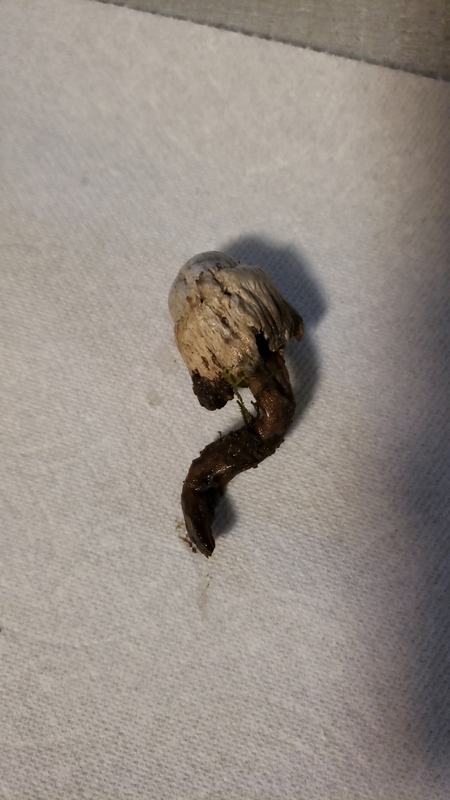 what is this mushroom and how to grow this mushroom? Which mushroom species is this? Species ID: What's this mushroom? What species is this orange mushroom in Romania?